Any conference should aim to deliver a roster of speakers who will provoke your knowledge or teach you things you didn’t know. 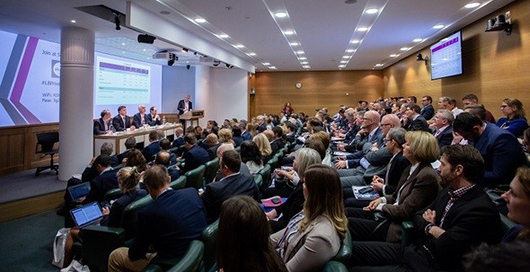 As a result, LaingBussion brought to the stage of Wimpole St, some of the leading industry executives from insurers, operators and clinicians to discuss what the future holds in store for the Private Health Sector and how best to prepare for it. Firstly, it was alluded that currently, private healthcare is facing some challenging times. And the hope for self-pay, at least from a sector perspective, appears to be still mainly that. Hope. Issues of data transparency and outcome-measurement appear absorbed within a broader issue of governance. The afternoon took an in-depth look into the opportunities available in fertility, cosmetics, mental health, oncology and orthopaedics. Furthermore, Philip Luce, Bupa Cromwell explained the advances made in joint replacements using ERP. 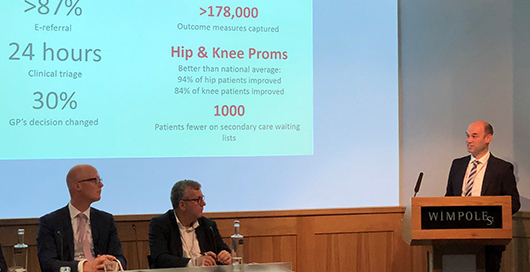 Likewise, Ben Gooding, Circle Health, demonstrated how a changed workflow drives improved PROMS outcomes for hip and pain surgery. 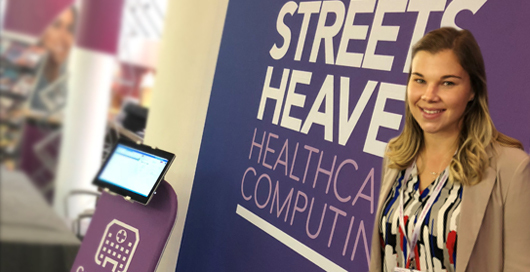 Finally, the conference finished with the opportunity to reconnect with peers and meet new colleagues and suppliers within the healthcare sector. And taken all together, made an enjoyable and rewarding day.